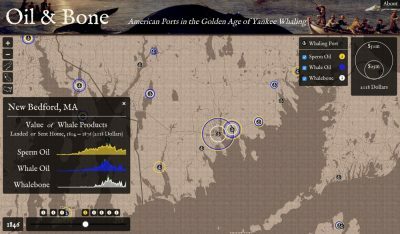 Quantitative data on sperm oil, whale oil, and whalebone arriving in port are aggregated from the American Offshore Whaling Voyages Database hosted online at whalinghistory.org. 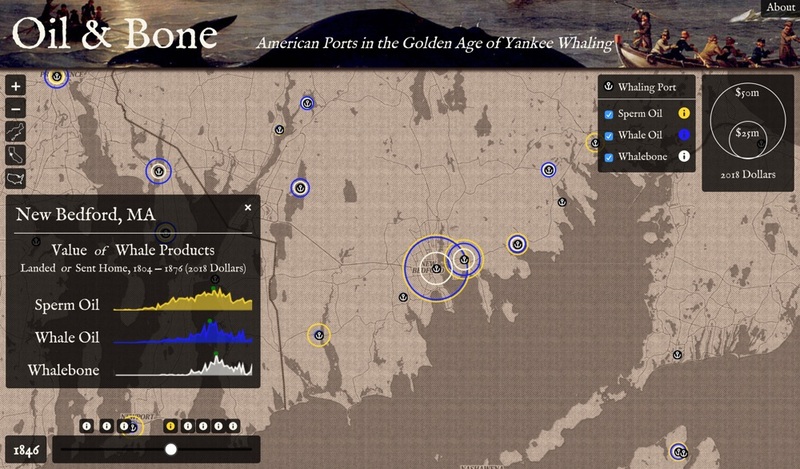 Whale product values are derived from Alexander Starbuck’s History of the American Whale Fishery, published in 1878, which includes average annual prices of each product from 1804 to 1876 (hence the temporal scope of the map). All dollar values have been translated to 2018 dollars using Consumer Price Index estimates published by the Federal Reserve Bank of Minneapolis. 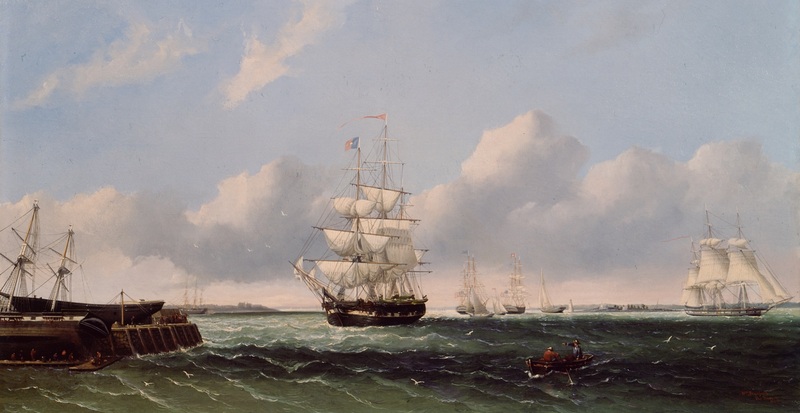 The historical narratives and background information supplementing the map are drawn from Leviathan: The History of Whaling in America, by Eric Jay Dolin.